Come Home and Elevate your Soul. 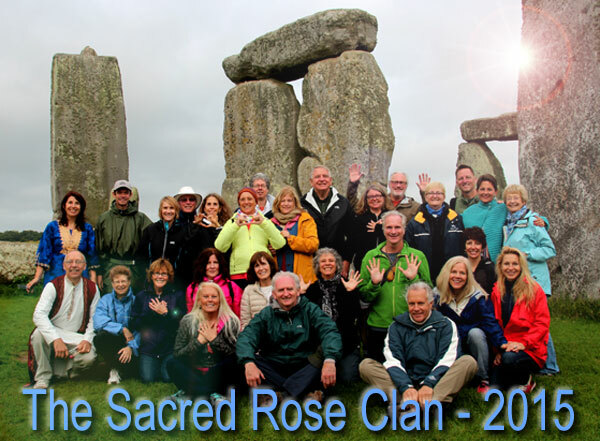 Come to honor these Sacred Lands, Sea, Sun, Moon and Stars with your divine presence. the Gods & Goddesses, Holy Masters, Knights and Queens that we are. Beautiful vastness and serenity of the Scotland landscape oozes magic in a timelessness way that speaks to our hearts in deep, mysterious ways. Its great mystery merges within us and offers us a radiant, healing, soul bath of pure spirit that we could not begin to describe with words. It is no surprise that the living Scots (Caledonians) are known to have magic anchored in their very souls and are gifted with "the sight". This is something that is just accepted and is normal and very real. 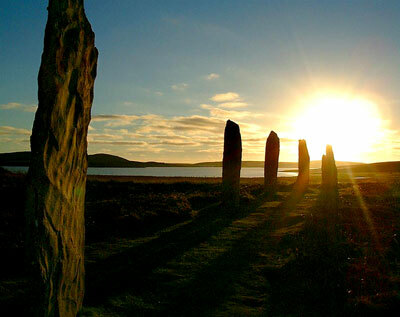 We will sail across magical Caledonian seas, ascend sacred crystal mountains, and learn to clearly listen to the Ancestors as we work in timeless and ancient stone circles. We will walk in the footsteps of Holy ones like Anna Grandmother to Jesus, Mary, the Mother of Jesus, Joseph of Arimathea, as well as Jesus and Mary Magdalene who visited these sacred lands along with an uncountable list of ancestors. 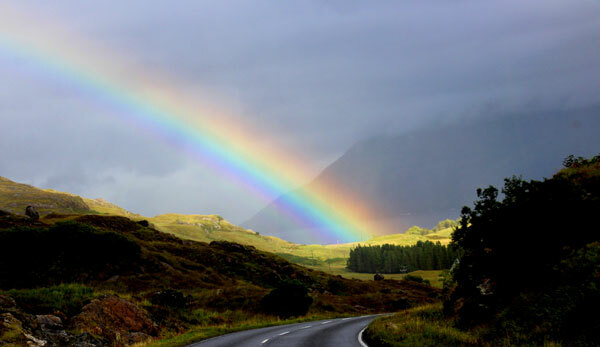 Be-ing in these lands can open us to our inner magic, broaden our sight, open our hearts, deepen ancient remembering and help us elevate our souls. This is a life changing pilgrimage that you don't want to miss, and we know that Spirit will call you if this pilgrimage is right for you. Rosslyn Chapel; Kilmartin Valley including Temple Wood, The Nether Largie Cairns and a little known Knight's Templar Church; the Sacred Isle of Iona including The Abbey, St. Oran's Chapel, St. Martin's Cross, Maclean's Cross, The Nunnery and The Nunnery Gardens, Fingal's Cave, The Hill of Angels, Dun I and The Well of Eternal Youth; Eilean Donan Castle; The Isle of Skye including The Fairy Pools, Dun Beag, Kensaleyre and more time permitting; The Isle of Lewis including some lessor known standing stones / stone circles, and the awe inspiring Callanish Stone Circle; Orkney Island including The Broch of Gurness, Stennes Standing Stones, The Ring of Bodgar, Maeshowe and the Italian Church; The city of Inverness; The central Highlands of Scotland including the Holy Crystal Mountain Schiehallion ("Fairy Hill of the Caledonians"), Fortingall Yew Tree and Church, the quaint town of Pitlochry; and St. Mary's Church in Grandtully . . . and more as time permits . . . plus surprises and magic. ALL this, plus much more, and we are still only touching the multitude of sites in this area with their power and magic. Ceremony, Meditation and Messages will be offered as space and time allows. Included will be many sea ferry excursions visiting The Isle of Skye, The Orkney Islands, The Outer Hebrides including The Isle of Harris and the Isle of Lewis, The Isle of Mull and the Sacred Isle of Iona. Who are called to this type of pilgrimage? We attract those who are more interested in a spiritual quest; those who are craving a deep, expanding, soul experience; those who crave a soul connection with like minded people; those who embrace the path of awakening the heart and soul healing. 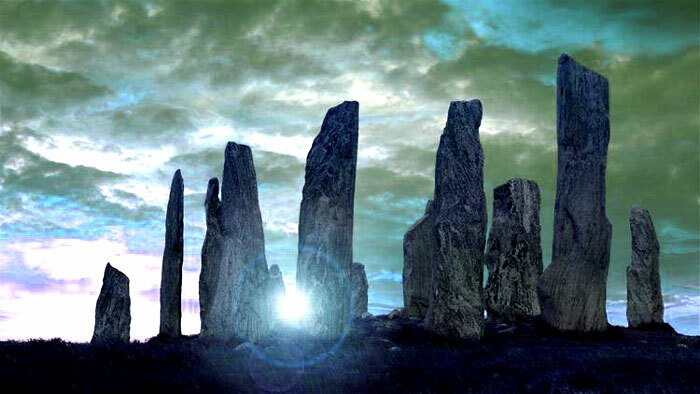 Those who are attracted to ancestral messages locked in these lands, ley lines and Earth grid energies; and those who feel called to spirituality, ascension, Celtic traditions, etc.... Many of our family come back year after year because they know that they will always find family with us. They know they are not going on a vacation, but are embarking on a sacred quest where they will receive more than they could imagine, but also have so much to give. Aluna's talent is knowing just how to create a magical cocoon that bonds the group to the land, to our ancestral past, and to our brighter future. You will know instantly in your heart if you are called to join us. The heart ... and love ... just works that way! 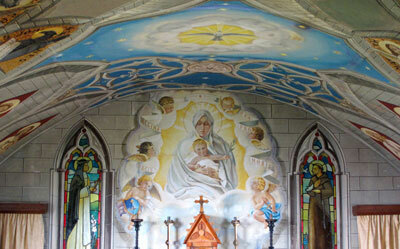 Register for this pilgrimage here! Aluna Joy coined the term "sacred site junkie", because she is one. Aluna was born aware and in the company of her guides, the Star Elders. 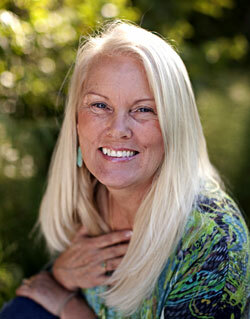 After her first trip to Mexico in 1986, she was hooked and her life was completely transformed. To this day, her work continues to be influenced by many mystical, shamanic and cosmic experiences gained by travel in the sacred sites of the Maya, Inca, Celtic, and Egyptian / Atlantian worlds. She has been guiding pilgrimages to these areas since the 1980's. She is considered a Star Messenger - Earth Oracle - Soul Reader, and is a watcher of humanity and Earth. She navigates between the physical and spiritual worlds. She watches the evolution of sacred sites like a spiritual precursor, thus perceiving possible trajectories for our future. In the Inca world, Aluna is considered a Qawaq (cow-wak), a clairvoyant, or seer of living energy. Aluna simply considers herself a Spiritual Archaeologist using her natural born Clairvoyant / Clairsentient gifts to read ancient and current energies of Earth and sacred sites. She transmits messages from her life long core team consisting of the Star Elders, Jeshua, and Archangel Michael, and works with many other Masters and deities regularly. "Our groups are family, and each one is a teacher and also a student. We work together as a team to unravel the sacred mysteries of life." 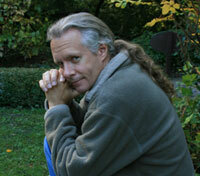 MARCUS MASON, our local guide, Marcus Mason has practised and taught Soul-Centered Astrology for more than 30 years in the UK and in Ireland, Europe and USA. He has also practised Traditional Acupuncture for 30 years and is a Member of the British Acupuncture Council (MBAcC). 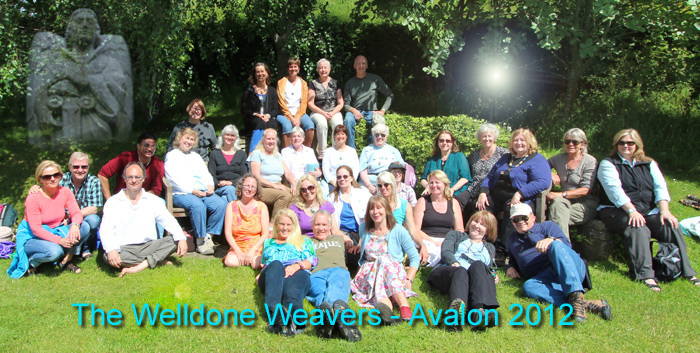 For the last 9 years, with his partner Sue Weaver, a crystal and shamanic healer and teacher, he has been researching the relationships and energetic effects of the planetary movements upon the body's energy systems and Chakras; what has emerged is a profound and elegant system of meditation, informed by more than 30 years of working with Astrology, Acupuncture and Earth Energies. 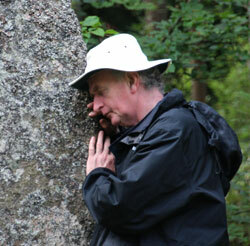 Marcus has been fascinated by Earth Energies and the purpose of Britain's ancient Sacred Sites since his early twenties. As his understanding grew, he came to see how the sacred places of Mother Earth are like the acupuncture points on the human body, and that many sacred sites are linked in similar ways to the points on the body's acupuncture meridians. On the Earth, these are the Ley Lines and the great planetary Dragon Lines, which encircle the planet. 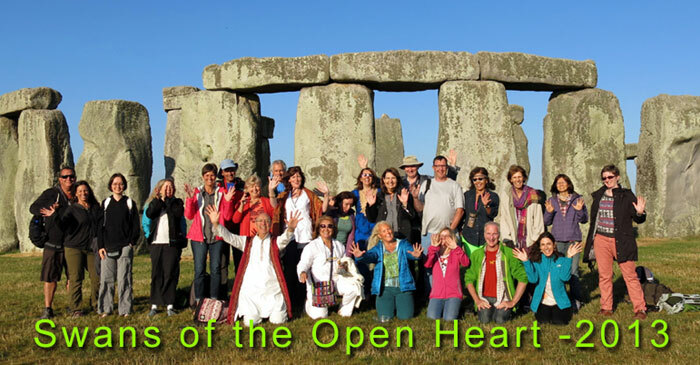 In the 1990's he co-founded a group, which worked with planetary healing meditations inside Stonehenge, at every Full Moon for 4 years from 1994 - 1998. 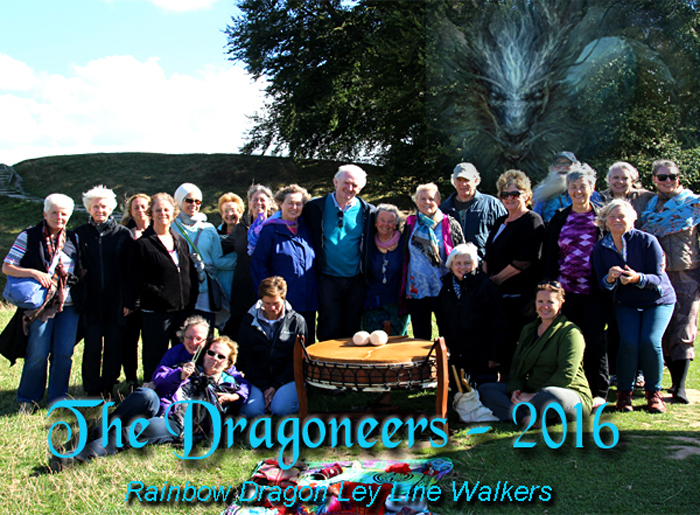 Since then, he has worked with many groups on journeys for personal and planetary healing in England, Ireland, Scotland, Wales, France, Belgium, Denmark, the Canaries, South Africa, Alaska and Hawaii. Marcus combines his understanding of Acupuncture, Astrology, Earth Energies and the human Chakra system, working with people at sacred sites to enable personal and planetary healing. 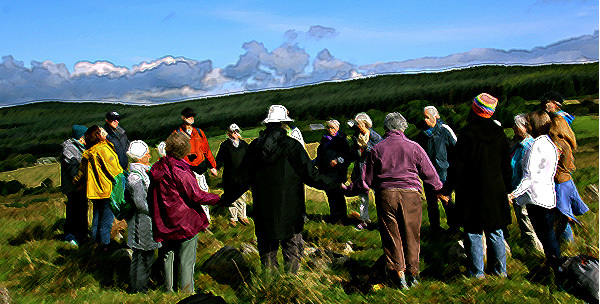 When we work together in this way at a sacred site, it is inevitable that the healing energies of the place will have an effect at a personal level and that the energies of the sacred site will also magnify our healing intention and enable healing for the greater whole of humanity and Mother Earth. Marcus lives in Cornwall, is one quarter Cornish and regards Cornwall as his spiritual home. He is a father to one son, and a grandfather to one grandson (so far). It is said that on the Isle of Iona, the veil between earth and heaven are so thin that pilgrims here can easily access spiritual dimensions. This unique island is sacred by many pilgrims from many cultures and is considered to be one of the most sacred places on earth. 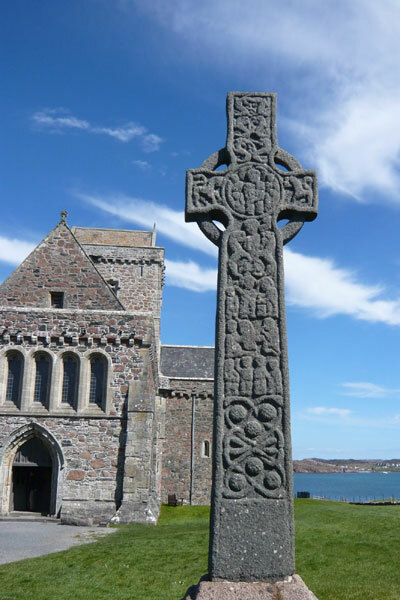 Legends state that the Stone of Destiny was brought to Iona by St. Columba and also state that Anna Grandmother to Jesus, Mary, the Mother of Jesus, Joseph of Arimathea, as well as Jesus and Mary Magdalene visited this sacred island and spread their teachings. This island is formed from some of the oldest rocks in the world, and is the center from which St. Columba converted most of Scotland and northern England to Christianity. Ionian Monks created the famous Book of Kells on this holy isle before withdrawing to the safer shores of Ireland. A tradition of royal burials including 4 Irish, 8 Norwegian and 48 Scottish Kings, and many chiefs and powerful clans, were laid to rest here. 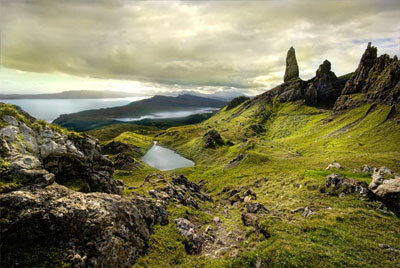 Also on this island is Sithean Mor (a large fairy hill), also known as the Hill of Angels. 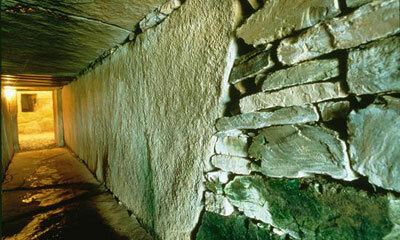 There is also the Well of Eternal Youth associated with the 6th century St. Brigid of Ireland (The Islands of Bride). This well is nestled among rocks on the top of Dun I, the highest point on the Isle of Iona. 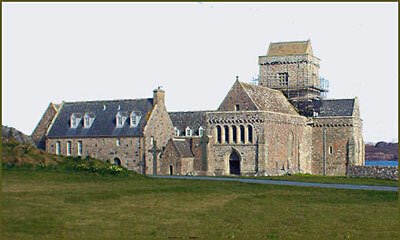 ISLE of IONA is considered by many to be the heart of AVALON! Regarding King Arthur ... Author Adam Ardrey claims that instead of the romantic English king of legend who lived at Camelot, which is often said to be Tintagel, Arthur was actually Arthur Mac Aedan,the sixth-century son of an ancient King of Scotland. He also suggests that Arthur pulled the sword Excalibur from a stone at Dunadd near Kilmartin Valley (near Knights graves where we will be going to! 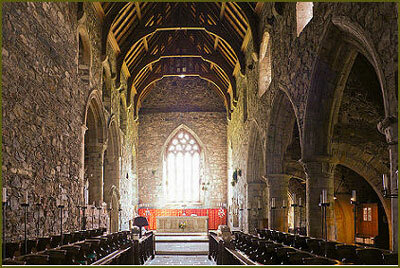 ), and was buried on the Isle of Iona, which he also declares to be Avalon. The assertions in his book Finding Arthur: The True Origins Of The Once And Future King are strengthened by the discovery in 2011 of what some experts believe is King Arthur's round table in the grounds of Stirling Castle. Ardrey says he not only believes Arthur is buried in Iona, but that he would love to see the site excavated to look for proof. Iona fits all the criteria. It is an island where numerous kings were buried. Other members of Arthur Mac Aedan's family were buried there too. Many historians have attempted to link Arthur with Cornwall and Tintagel Castle, and in 1998 an ancient stone bearing a sixth-century inscription similar to the name Arthur was unearthed at the castle, the mythical birthplace of the legendary king. It was hoped that the discovery could prove that King Arthur had his headquarters at the site of the ruined castle on the north coast of Cornwall, but the findings - of a piece of slate inscribed with the name Artognov - Latin for the English name Arthnou - remained inconclusive. But we can feel him there quiet clearly. 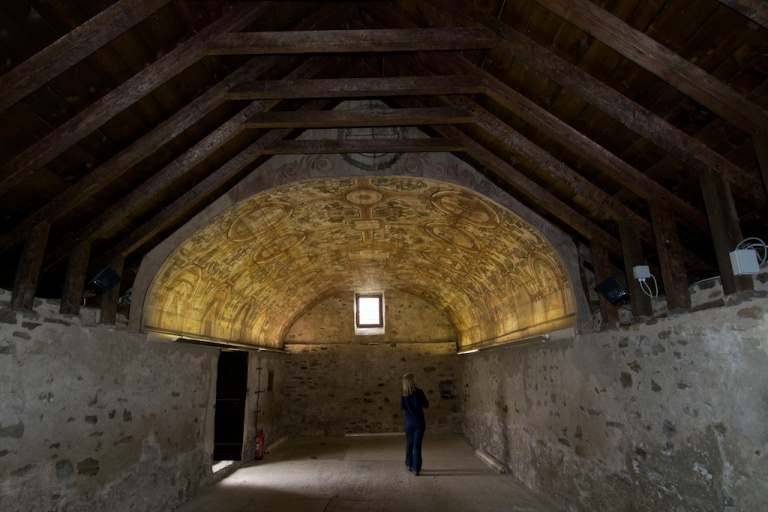 However, in 2011 it was believed that Arthur's Round Table may have been unearthed by Glasgow University archaeologists investigating the King's Knot in the grounds of Stirling Castle. King Arthur is said to have been a Scottish King of the druidic "Old Way", the last of his kind holding out against a zealous Christian onslaught. Other Interesting facts about places we are going to and WHY! "During The time of Christ, the British Isles possessed the largest number of universities, totaling 60, with 60,000 students under instruction. The elite of the Western world traveled to the British Isles and likewise, religious scholars from Egypt, Spain, Palestine and Scotland all met to exchange ideas. Egyptian Essenes had a working relationship with the British Druid Magi. 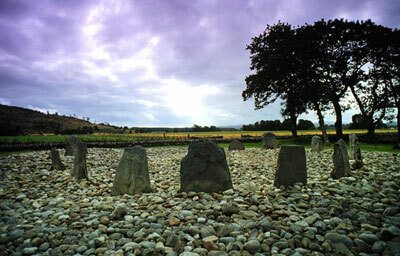 Some Druids, such as those in Fortingall, Scotland had a sister school on Mt. Carmel, Palestine and were therefore linked spiritually and culturally. Even monks from Tibet visited the British Isles and vice versa. According to Barry Dunford, ". . . at the English College of Arms, The Heraldry Office at Jesus College clearly shows the grandmother of Jesus and her links to various kings of the British royal family." 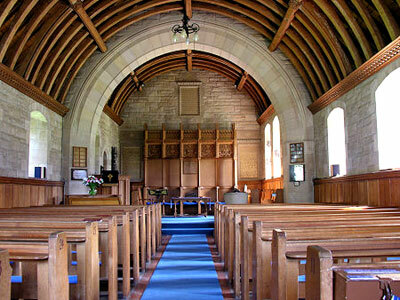 "The great-grandparents of Jesus were born and lived in the area of Fortingall, Scotland, where one of the first "mother churches" is believed to have been located. His grandparents Joachim and Anna (Hannah) moved to Galilee, but the rest of the family remained in Scotland. Anna wasn't Jewish, but of both Celtic and Hebrew royal lineages." "Even the highest initiates of the various mystery schools NEVER spoke the name of Jesus. Jesus was referred to as "THE DOVE," . . . The various names of Jesus, are in fact spiritual titles, all meaning roughly "light-bearer." 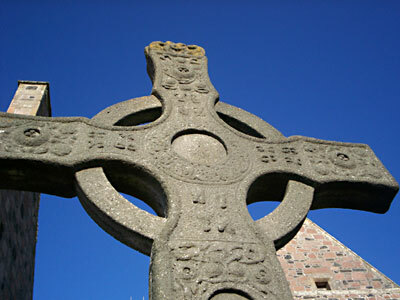 The Isle of Iona is also known as The Island of the Dove.The Isle of Iona has at least 60 kings buried in its sacred ground. They were buried there because of the "The DOVE - The Christ frequency" is anchored there. Jesus is Jeshua in Tibet, India, and Greece. Christ or Christos is Greek. In Tibet, there is a St. Issa, in Gaelic it's Iosa, in Aramaic it is ISA, in Cornwall and Wales it is spelled Essa." 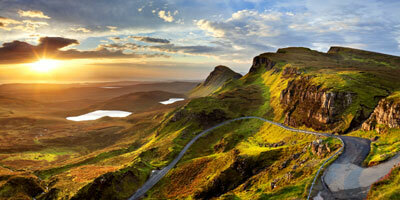 On the Isle of Mull, we find Essa Hill. 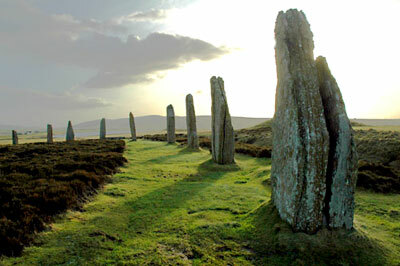 The sacred Island of Iona lies on the Fortingall (Christ Frequency) and Montrose (Rose) Ley lines axis. . . . This is where the surviving Grail son was born to Jesus and Mary Magdalene. It is believed that Christ personally attuned the island (Iona) to this perfect frequency (Christos frequency) for the purpose of initiates to receive the frequency. The above excerpts are from the book titled "An End To All Disease & the Da Vinci Code Revelations" by Lt. Lawrence F. Frego, USNR (Ret). There are a limited number of single supplements, and they are subject to availability. Our group is limited to 27 adult spiritual pilgrims. 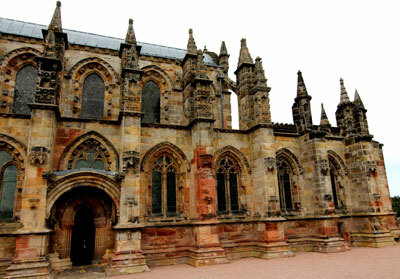 Included in the 2019 Scotland Pilgrimage: All accommodations, meals as listed in the itinerary, tipping for all meals included in the itinerary, tour vehicle and driver costs, services of hired, expert guides, all entrance fees to archeological sites, museums, etc... and applicable taxes. Tea or coffee, depending on the hotel, may or may not be included for your dinner meal. A vegetarian option will be available as one of the main course options. Aluna Joy and Marcus Mason will be providing their spiritual guidance. Raphael will be acting as group guardian, and supporting the group by handling logistics (heart donations for this trio are gratefully given and received at the end of the trip). Also included will be laughs, joyful tears, and the beginning of lifelong friendships . . . just about everything a spirit could want! Plus, spiritual growth that cannot be measured by any standard! We guarantee that you will never be the same! Not Included in the 2019 Scotland Pilgrimage: Air travel fares from your home to and from the Glasgow International Airport (GLA) in Scotland, Transportation to and from our Glasgow hotel, Meals not mentioned in the itinerary, Gratuities for the bus driver, bellboys, maids, etc.... If you are called to tip, we ask that offer it from your heart. Trip & Travel insurance, flight insurance, laundry, telephone calls, internet, beverages and incidental expenditures are not included. Trip and travel insurance is advised to be purchased. NOTE: No lunches are covered during this pilgrimage. However we will stop for a lunch breaks that will be either stopping to pick up sandwiches along or actual sit down lunch. 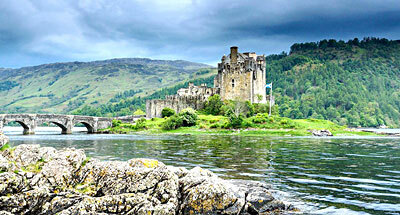 EILEAN DONAN CASTLE is a stunning 13th century castle set upon a power spot of 3 intersecting Lochs. This was a stronghold of the Clan Mackenzie and their allies the Clan Macrae and the Jacobite rebellions led in 1719. Were all our names are sung. and you will greet and grieve the wild ones as your friends. Impart to it that chaste and heavenly tone. We think, sometimes, there's not a dragon left. What a pleasure to be wrong. they're all that ever lived on earth! to change our world as we wish. We're not dust, we're magic!" We are stories to be told and heard: a cargo of treasure. 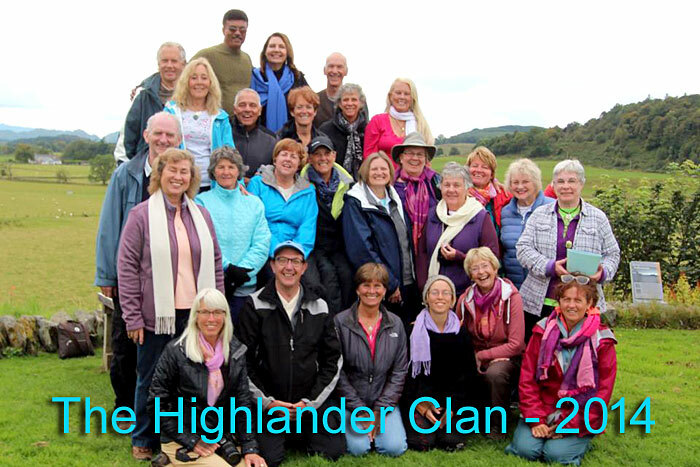 Sending so many heart felt thanks to our recent group to Sacred Scotland. 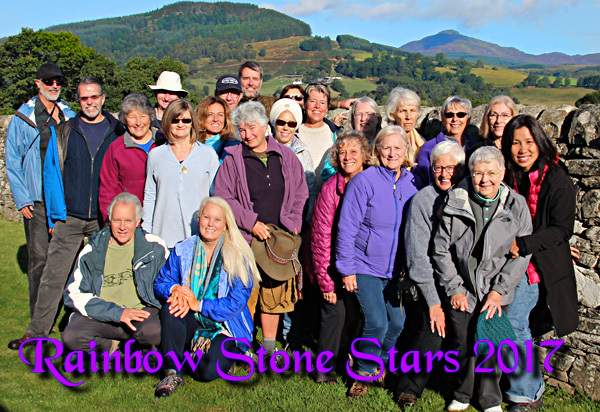 We had rainbows everyday as we discovered our stary heritage in ancient stones. There was unmeasurable LOVE and mutual respect and holiness between us. that only spirit could have orchestrated. 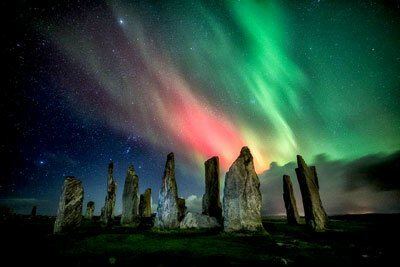 Thank you Sacred Caledonia. You live in our hearts forever.